Part of the oldest surviving purpose-built cultural complex in London, founded by the community through the purchase of bonds. 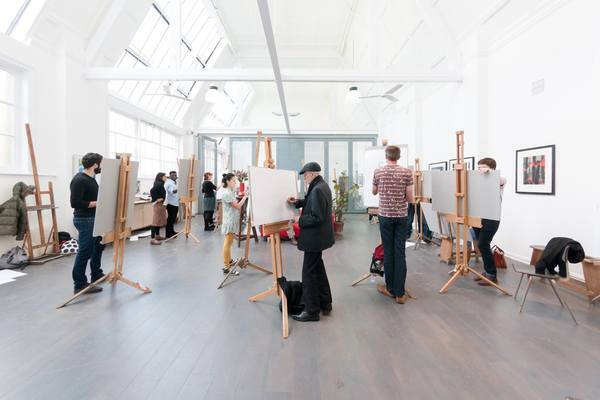 Arguably the finest in London, the main art studio possesses generous space and a magnificent north light. 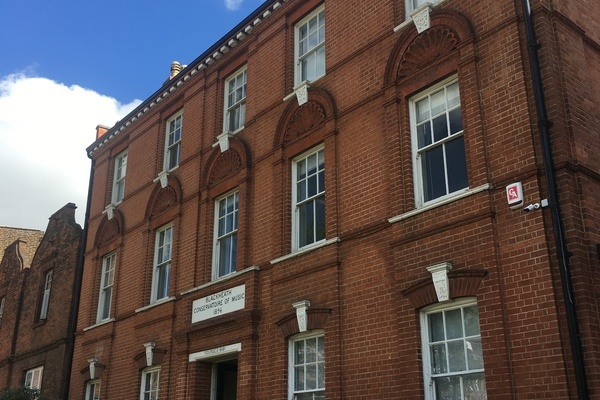 • We look forward to opening up our historic, vibrant and inspiring buildings to both local residents who do not yet know us and the quality wide-ranging work across the arts we deliver, as well as visitors from across London and the wider area. • The Blackheath Conservatoire of the Arts is the result of the grassroots action of the local SE London community. 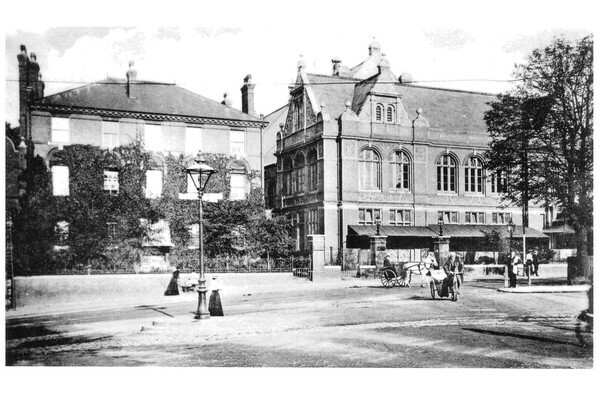 In 1881 local residents formed the Blackheath Conservatoire of Music, and, fourteen years later, the Blackheath, Lee and Lewisham School of Art. Driven by a desire to bring the arts to Blackheath they purchased shares in a company established by local resident William Webster. The income generated funded the building of the Conservatoire of Music (opened in 1896) and the School of Art (opened a year later). • With the adjoining concert venue, the Blackheath Halls, we form part of the oldest surviving purpose-built arts complex in London. • Both buildings were designed by Edmeston and Gabriel and were Grade 1 listed in 1992. The Music Building is built in the Queen Anne style of Leicester brick. To the front there are three storeys and five windows. The first floor windows have pilasters with round-headed pediment containing shell tympanum and a musical keystone. The Ground floor has cambered windows with keystones containing emblems of the British Isles. The basement was used as an air raid shelter during World War II. Graffiti from this time still exists on the walls. • The Art Building is a beautiful space, taking full advantage of the Northern light. It is one of the only remaining Victorian art studios in the country. Among the many subjects taught at the school were Painting, Illustration, Enamelling, Woodcarving, Modelling, Embroidery, Bookbinding, Architecture & Perspective, Pottery, Textile Design, Silversmithing, and Commercial Design and Lettering. The Building was requisitioned by the Ministry of Defence and closed in late 1940, not re-opening until 1983. At one time there was also a row of artists’ huts and teaching rooms alongside the studio. • William Webster (1855-1910) was a polymath, distinguished in many fields. Trained as a chemical engineer, he had many artistic and scientific interests. As an accomplished violinist, he played with professionals in public concerts. He also sung and had paintings exhibited in the Summer Exhibition at the Royal Academy. He was a fellow of the Chemical Society and perfected a system for the electrolytic purification of sewage, in addition to being a pioneer in X-ray research. It was this which contributed to his death at 55. His grave can be found in the nearby churchyard of St Margaret’s Lee. • Many of the founders were influential professional musicians and artists which led to a very high quality of tuition. 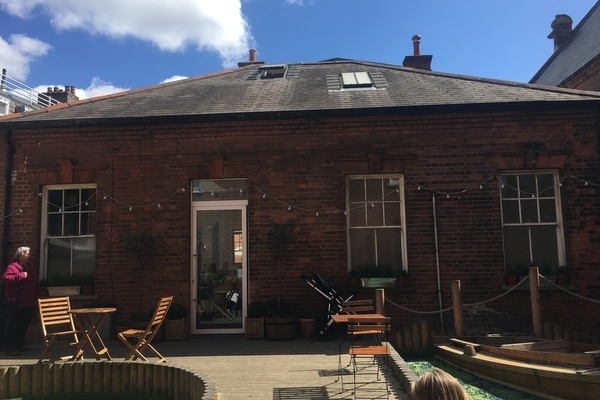 • •	The Open House tour (at 10.30am) led by Blackheath architect, Jo Townshend, will allow visitors to see inside both buildings and discover more about their history and how they were used throughout history. In the Waiting Room visitors can see a painting by Phyllis Dodd, Portrait of Mrs Martin. Mrs Martin was the mother of Roger Martin co-founder of the Blackheath Society with Douglas Bliss (Dodd’s husband). Mrs Martin also taught at the Conservatoire in the 1930s. The painting is kindly on loan to the Conservatoire by the Bliss family. There are also intriguing musical sculptural installations by London-based Mexican artist Guillermo Monroy on display, installed after the large-scale 2013 campaign to save the Conservatoire from closure, when significant improvement works were also undertaken in the Art Building. • The Conservatoire has produced many illustrious alumni, including Kate Bush, who was a student at the Conservatoire from 1970 until 1976; Jools Holland, who studied here and provided funding for a bursary in 1993 and also performed at Blackheath Halls in support of this; Daniel Day Lewis, who was a student here from 1967-1968 and James Woodford, who designed the RIBA Doors in 1934 whilst a teacher at the Blackheath School of Art. Some memorabilia featuring past students and teachers is on display in the Waiting Room. 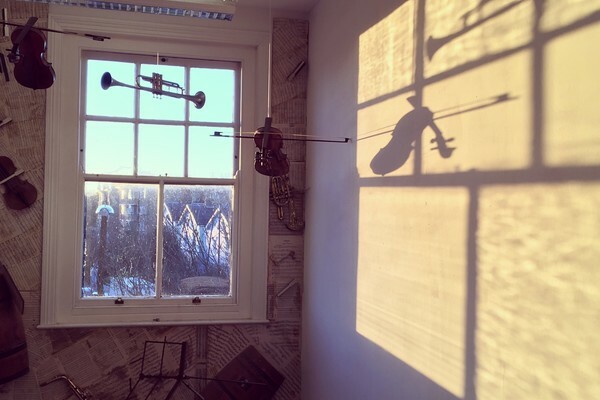 • The Conservatoire today is the focus of arts education and events in South East London and provides exceptional lifelong learning. Our values remain those of Creativity, Quality and Community. • We welcome around 2000 students a week, either to one of the 180+ courses we run each term, or to receive individual tuition (of which we offer over 20 different types). Our courses are carefully designed to grow and adapt to users’ needs, helping them on their creative journey. There is something for everyone from newborn babies to accomplished adults. All of our tutors are both professional artists and nurturing teachers.